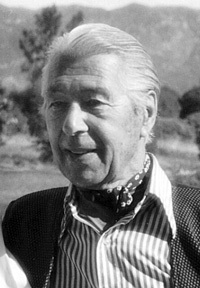 Herbert Bayer Herbert Bayer (1900-1985) was born in Austria, where he entered into an apprenticeship under the architect and designer, Georg Smidthammer, with whom Bayer learned drawing, painting, and architectural drafting, inspired by nature and without formal knowledge of art history. In 1920, Bayer discovered the theoretical writings of the artist Vassily Kandinsky, as well as Walter Gropius’ 1919 Bauhaus manifesto, in which Gropius declared the necessity for a return to crafts, in which were found true creativity and inspiration. Bayer traveled to Weimar to meet Gropius in October of 1921 and was immediately accepted into the Bauhaus. There, he was deeply influenced by the instruction of Kandinsky, Johannes Itten and Paul Klee. 30.25" x 35" x 35"
40.5" x 23.5" x 20.5"
8" x 32" x 10"
24" x 35" x 12"
144" x 168" x 48"
120" x 120" x 45"
29.75" x 30" x 10.87"
6" x 6" x 3.75"
192" x 79.75" x 58"
35.5" x 12.5" x 20"
37" x 14.625" x 4.5"
48.25" x 10" x 6.54"
192" x 29" x 29"
122" x 61" x 61"
48" x 22" x 24"
240" x 96" x 96"
Mountains and Lakes works-on-paper lithograph 32 imp. Wood (from Seven Convolutions) works-on-paper lithograph 90 imp. 15" x 20.75" x 2"
15.25" x 41" x 10"